Today is the link up with the Literary Junkies at By the Porchlight and Goings On in Texas. They have some great questions lined up today! I'm currently reading A Visit from the Good Squad. IF I even finish this book, I don't expect to give it a good rating. It's just not my kind of book at all. It feels like "empty words". I don't know how else to describe it, but you've probably read a book like that before. The words just feel hollow. I LOVE this question. There are days when I feel like my life is a Jodi Picoult book, but I'm not a huge Picoult fan, so I'd want someone like John Green or David Levithan to write it to make it more fun and interesting. There is nothing better than a glass of wine, a book, and a big bubble bath. That is an ideal Saturday night if you ask me. 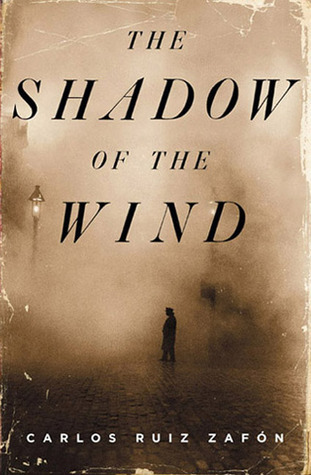 Suspense/mystery: Hmm...my favorite in this category is Angels & Demons, but I think most people have already read it or heard of it, so I think I would give them The Shadow of the Wind by Carlos Ruiz Zafon. It's not as popular and a great mystery. Chicklit: Can't say I read a lot of chicklit, but I think I would give them Outlander by Diana Gabaldon. It's a little romance, a little history, a hunky hero and would please any chicklit lover. Comedy: Oh so many choices. Sarah Silverman, Tina Fey, Chelsea Handler, Mindy Kaling. I would probably get them the audiobook if I could. Literary fiction: Hmmm...either The Shadow of the Wind or The Night Circus. Those are both book-lover's books. Classics: I would buy them something with their favorite classic on it. Or an antique copy of their favorite. Reminder: The Book Chat is tomorrow! We are sharing our favorite books of 2012! I love your favorite place to read! That definitely make for a perfect Saturday evening! 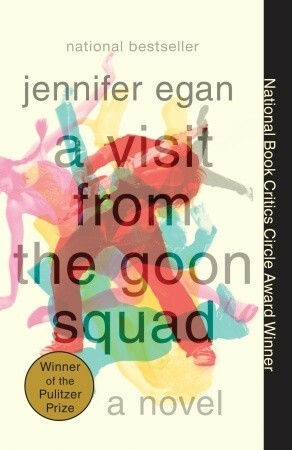 I read A Visit from the Goon Squad for a book club I was in last year. I remember it taking me a while to get into it, but I ended up liking it. But now I remember NOTHING about it. So your "empty words" description is great description. Love the Outlander Series! And I loved Angels & Demons so I must add The Shadow of the Wind to my list! :) Thanks for linking up with us!! Bubble baths! Yes! Is it bad if I admit I take only at least 5-6 times a week? It's my favorite place to read, too! I really need to make reading a priority next year. It has really fallen to the wayside recently. Unfortunately both wine and bubble baths make me sleepy, so I wouldn't make it past a chapter that way! lol How is The Paris Wife? I used to hate listening to books til I moved to San Antonio and it is an 8 hr drive to visit my parents. You can finish an entire audio book in one trip. sheesh! Excited to link up with you tomorrow! Have a great night! 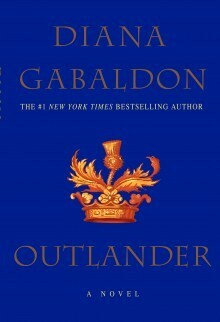 So many people have recommended Outlander, but I haven't gotten around to reading it yet! I'll have to bump it up on the list! Thats totally an ideal Sat night! Thx for linking up! i haven't had a bath tub for 3.5 years. so sad! O yes! Love, love, love the Outlander series. It's like one of my top favorite series I've ever read. 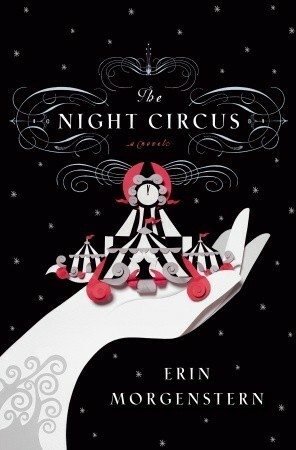 I've got to read the Night Circus. I keep hearing good things about it. Is that a picture of your bookshelf at the top of this post? Love it! 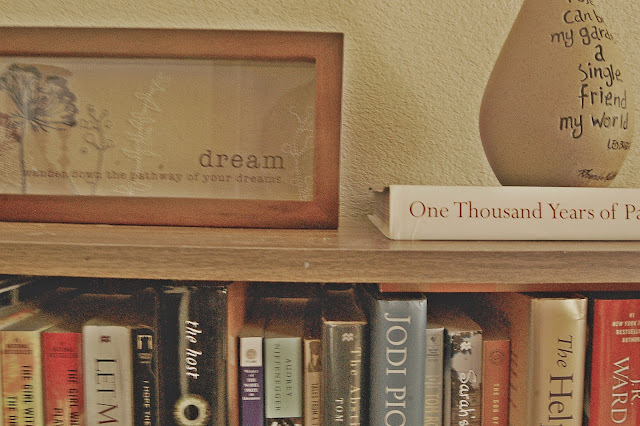 I recognize (and love) almost all those books!